Did you watch the NHL’s All Star Game? Honestly, I didn’t. I did tune in for the NHL’s skills competition though. The All Star game is a tough sell, even among the die hard NHL fans, present company included. In order to allow you to (not) watch the All Star Game the NHL cleared their schedule. No games were played Friday January 26th, Saturday January 27th, or Sunday January 28th. Last week the NFL played their version of the All Star game too, the Pro Bowl. There were no playoff NFL games because it’s the week between the conference final and the “big game”. Recap: last week you had a choice between watching the All Star NHL game or the Pro Bowl. Those are incredibly weak offerings. Next weekend is the “big game”. The NHL has responded in turn by offering a reduced schedule on Sunday with only 3 games scheduled. The games all start at either 12:30 or 1pm EST. For reference, the “big game” starts at 6:30 pm. The NHL has no business going up against the “big game” and they know it. However, the NHL could go toe to toe with the ProBowl. 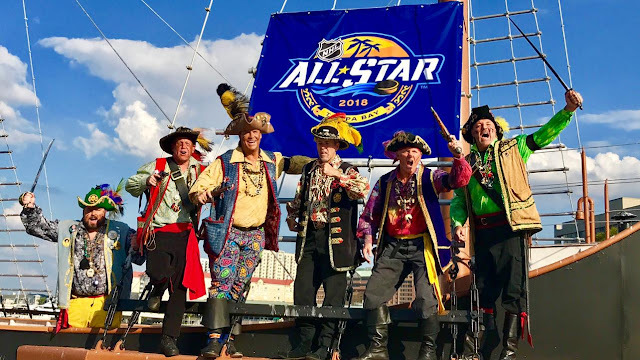 The NHL All Star game isn’t more exciting than the Pro Bowl, but a weekend of the NHL’s best matchups could be the best sport on TV the weekend before the Superbowl. The NHL should trot out their best matchups when there is a week without NFL playoffs. Put Pens/Flyers, Ducks/Kings, Rangers/Devils….the choice grade A stuff on that weekend before the Superbowl. Air the All Star game during Superbowl weekend. The All Star game is for locals. As long as the All Star game isn’t in a city where the Super Bowl is, it will be the biggest show in town. Play the game on Saturday before the Superbowl, or even better play the game at noon Superbowl Sunday. Rather than watching pregame highlights in the middle of day drinking, the NHL might actually catch some new fans looking for something to watch before the game starts. New NHL fans…who could have imagined such a thing?